The Queen has joked about being a grandmother in her Christmas Day message, saying family events like weddings and births have kept her “well occupied” this year. But she also highlighted the darker side of life, how religious faith which can lead people to do good in the service of others can also “fall victim to tribalism”. The Queen has had a memorable 2018, with two of her grandchildren – the Duke of Cambridge and Zara Tindall – welcoming new additions to their families. 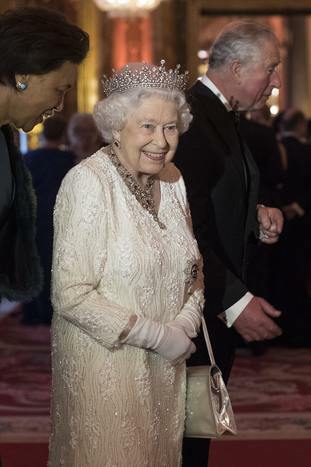 Bringing a touch of humour to her televised address, the Queen said: “Closer to home, it’s been a busy year for my family, with two weddings and two babies and another child expected soon. And she offered words of comfort for those missing relatives or friends: “At Christmas, we become keenly aware of loved ones who have died, whatever the circumstances. Now aged 92, the Queen’s reign as monarch has lasted 66 years and she has been married to the Duke of Edinburgh for more than seven decades. Sitting at a desk and with a Christmas tree in the background, she said: “Some cultures believe a long life brings wisdom. I’d like to think so. “Perhaps part of that wisdom is to recognise some of life’s baffling paradoxes, such as the way human beings have a huge propensity for good, and yet a capacity for evil. Footage of Harry and Meghan’s glittering wedding was featured in the broadcast alongside Eugenie and Jack’s nuptials, and also the moments when the couples kissed on the steps of St George’s Chapel at Windsor Castle. The duke and duchess’s carriage ride was also screened. 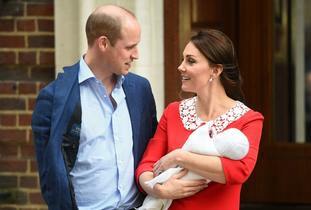 The first of the two royal babies to arrive this year was Louis, and there was a clip of his proud parents, William and Kate, presenting him to the world outside the private Lindo Wing of St Mary’s Hospital, Paddington, where he was born on April 23. And in June, Zara and husband Mike Tindall, a former England rugby player, welcomed their second child – a daughter called Lena. “We have had other celebrations too, including the 70th birthday of the Prince of Wales,” said the Queen as the camera panned to a framed picture on her desk, an official image released to mark Charles’s milestone and featuring his wife, the Duchess of Cornwall, along with the Cambridges and their children, and the Sussexes. 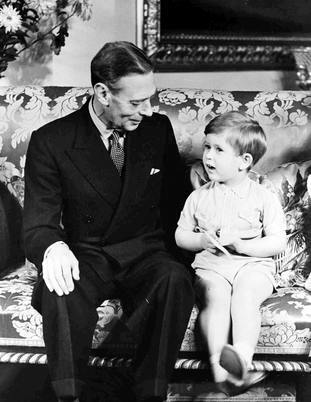 The broadcast was recorded in Buckingham Palace’s White Drawing Room, surrounded by family photos. They included William and Kate’s Christmas card image featuring themselves and their children, a picture from Eugenie’s wedding showing the bride and groom surrounded by their bridesmaids and pageboys, a black and white image from Harry and Meghan’s big day, and a picture of George VI. She said: “Its strength lies in the bonds of affection it promotes, and a common desire to live in a better, more peaceful world. The broadcast was recorded on December 12 before Prime Minister and Jeremy Corbyn’s angry Commons clash which, with Brexit at its root, saw the Labour leader accused of calling Theresa May a “stupid woman”, something he denied. With Parliament fundamentally divided over the way forward with Brexit and military conflicts still raging in parts of the world, the monarch’s words are likely to resonate with many.